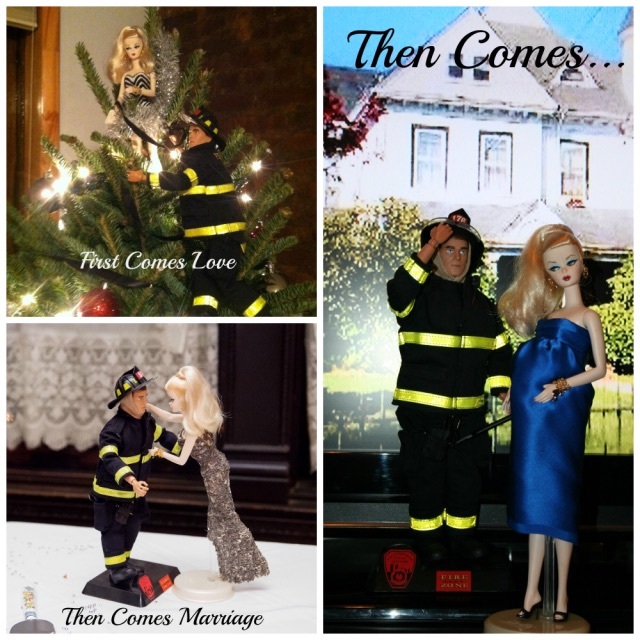 My FDNY hubby gave me the doll when we started dating cause he said Barbie needed a boyfriend. Her dress matched mine in the wedding. So it was only fitting.